We had a wonderful Christmas. A rather tiring one though, as we are in the midst of doing up our apartment. So the long weekend was spent cleaning, fixing up shelves, tables and moving all our stuff from one room to another, which explains why I didn't have much time to post during the Christmas holidays. Hopefully we can get our apartment fully furnished by the Lunar New Year. We had quite a bit of baguette leftover from our Christmas dinner and I decided to make a simple and healthy (I think!) lunch for myself yesterday. This makes a wonderful appetiser for dinner parties. - In a large bowl, combine the roma tomatoes, minced garlic, extra virgin olive oil, vinegar, basil, salt, and pepper. Allow the mixture to sit for 10 minutes. - Cut the baguette into 3/4-inch slices. 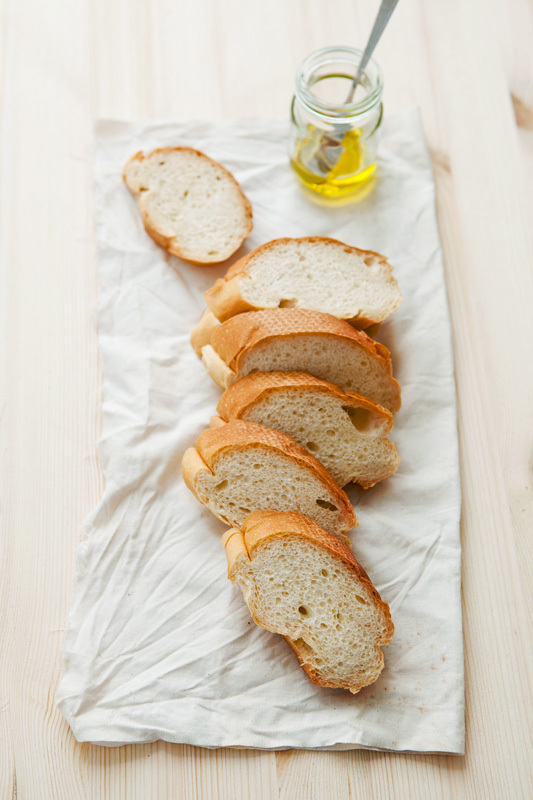 Drizzle the baguette slices (both sides) with olive oil and place them on a heated frying pan and grill them till the underside turn golden brown on one side. Flip them over and grill them on the other side. Rub the clove of garlic on one side of each baguette slice. 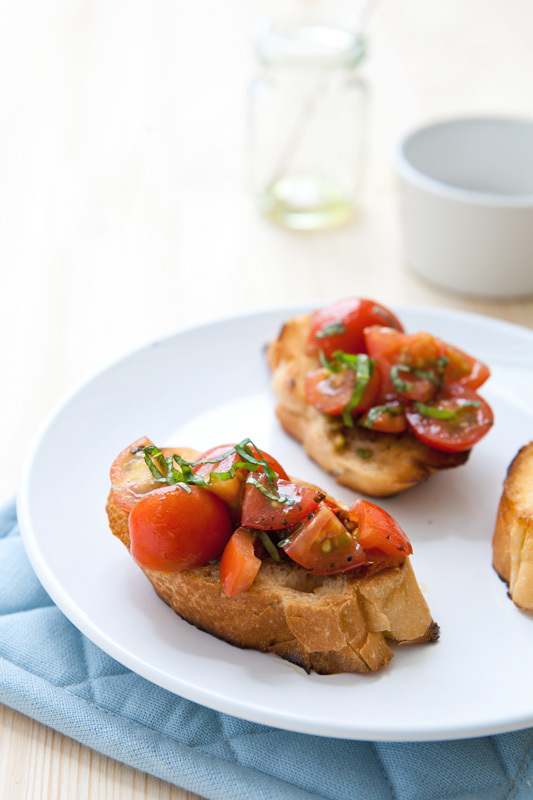 - Divide the tomato mixture evenly over the baguette slices. Happy New Year in advance! I must say I am a fan of your work, the photography is stunning. bright and clean, with clear focus on the food. Even if you do have an array of styling props, the focus is always evident on the food. Bravo! Simple and delicious! I like. I would love this for breakfast, brunch or even early dinner...I love the combination of flavors. Thanks for the post! Hi Everyone, thanks for all the encouraging words!! Homemade Pizza - my 2nd attempt!